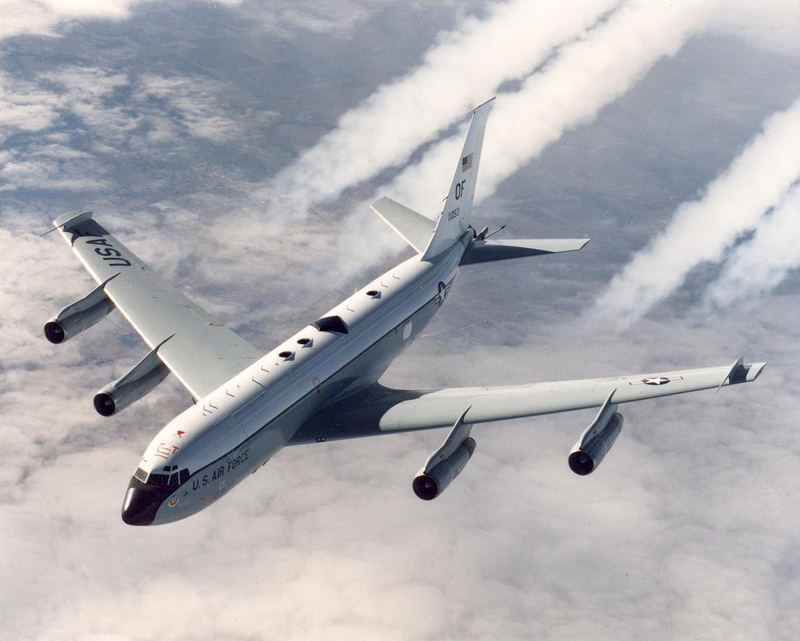 Strategic Air Command (SAC) started the Looking Glass mission on February 3, 1961, using Boeing EC-135C aircraft. Looking Glass, or Operation Looking Glass, is the code name used for the airborne command and control center, which in the beginning of Looking Glass was overseen by the Air Force. If the ground based command centers were destroyed (the Minuteman Launch Control Facilities/Launch Control Centers) to the point that they were no longer able to complete their role in sending a command to the Launch Facility to launch, Operation Looking Glass would then step in and provide command and control over the ground based nuclear forces. 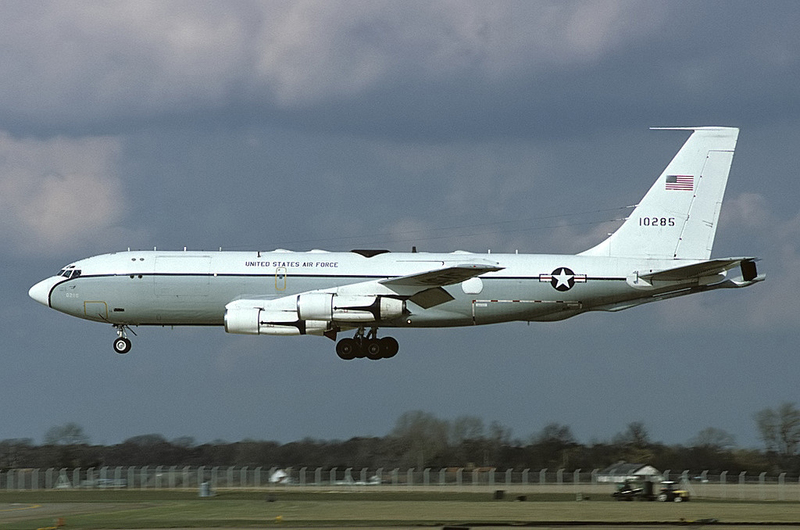 The Boeing EC-135C Looking Glass aircraft were airborne 24 hours a day for over 29 years, ending its constant vigilance on July 24, 1990, when the Air Force discontinued its continuous airborne alert. Following this date, the airborne command center remained on ground or on airborne alert 24 hours a day. This new strategy continued on until October 1, 1998. The Boeing EC-135C was utilized for a total of 37 years, starting in February 1961, and completing its final mission October 1, 1998. In the early stages of the Looking Glass program, the Air Force were using the Boeing military only KC-135A and the KC-135B aircraft. The KC-135A was modified and redesignated as the EC-135A. In modifying the KC-135B, they then redesignated this as the EC-135C, of which SAC deployed 8 of the EC-135Cs. From a historical perspective, there were 4 models of the EC-135. Model A, C, G and L.
While actively flying the EC-135 aircraft, both the pilot and co-pilot were mandated to wear an eye patch when it reached DEFCON 2 or higher. The patch was located in the Emergency War Order kit on the plane. This was based on the possibility of a blinding flash from a nuclear strike, of which the eye patch would prevent blindness in the eye that was covered. The pilot and co-pilot would be assured of having one sited eye, allowing them to continue flying. This was later replaced by wearing goggles, that in the event of a flash, would immediately darken. Once the flash had decreased in intensity, the goggles would return to providing normal vision. From the initial deployment of Looking Glass, Strategic Air Command designated this program as the ABNCP, Airborne Command Post. Beginning on March 25, 1965 ABNCP was then redesignated as PACCS, Post Attack Command and Control System. 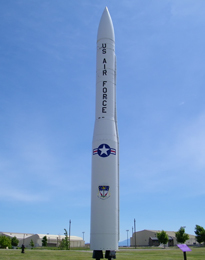 The first attempted launch of an ICBM, a Minuteman II missile, that utilized the Airborne Command Launch System, occurred at Vandenberg Air Force Base in California, on April 17, 1967. This launch was a success and proved to be a strong example of the value of the EC-135C command post as a survivable alternate weapon system, providing the distinct capability of directing retaliatory strikes against the Soviet Union. On February 1, 1974, the first SELM, Simulated Electronic Launch-Minuteman, code name "Giant Pace 74-1" was successfully completed. Following this first initial simulated launch, 11 additional Minuteman II missiles were configured with the SELM feature at Ellsworth Air Force Base, all of which completed successful simulated "launch on command" by two Launch Control Centers as well as the Airborne Launch Control Center. The Airborne Launch Control System received an additional modification in the early 1970s to enhance increased safeguards against an unauthorized ICBM launch or an accidental vulnerability to the launch codes. This modified and improved weapon system was called the "Phase II" ALCS. Following the Phase II ALCS, plans were also being explored in the early 1970s to replace the EC-135C with a modified Boeing 747 called the E-4. This aircraft was initially referred to as the Advanced Airborne Command Post. The first 3 aircraft used as the Advanced Airborne Command Post were E-4A aircraft, which was then followed by the E-4B aircraft. In June of 1987 the first Common/Pacerlink plane was deployed. It was a modified EC-135 and it provided increased flexibility into the Single Integrated Operations Plan - SIOP - and allowed the airborne missile crews the ability to remotely target and interrogate the ICBM Peacekeeper missiles. With the deactivation of the organizational structure of the SAC, Strategic Air Command, there was a consolidation of its nuclear forces, combining the Air Force's ICBM with the US Navy's SICBM, under the newly formed U.S. Strategic Command (USSTRATCOM) on June 1, 1992. This consolidation of forces was manned with a Battlestaff under the command of an Air Force General or Navy Admiral. This consolidation continued to perform the Looking Glass mission under USSTRATCOM until October 1, 1998, when the US Navy's fleet of TACAMOs - TAke Charge and Move Out - E-6Bs replaced the EC-135. This format provided command and control of both the nuclear missiles with the submarine fleet, as well as the ground based Minuteman missiles. To explore a number of exceptional black and white interior and exterior photographs of the Boeing EC-135 ALCC, follow the link below. 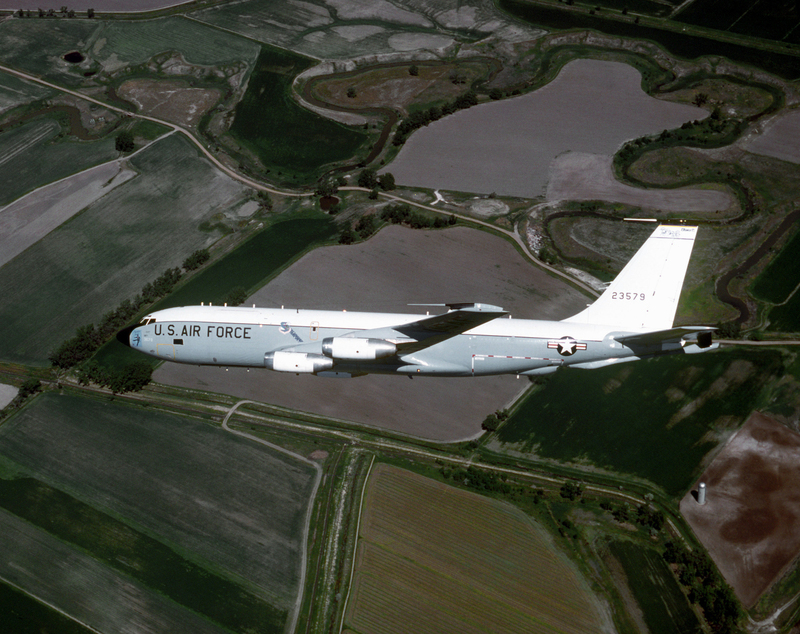 The Navy's E-6B Mercury replaced the EC-135 within the Looking Glass mission. 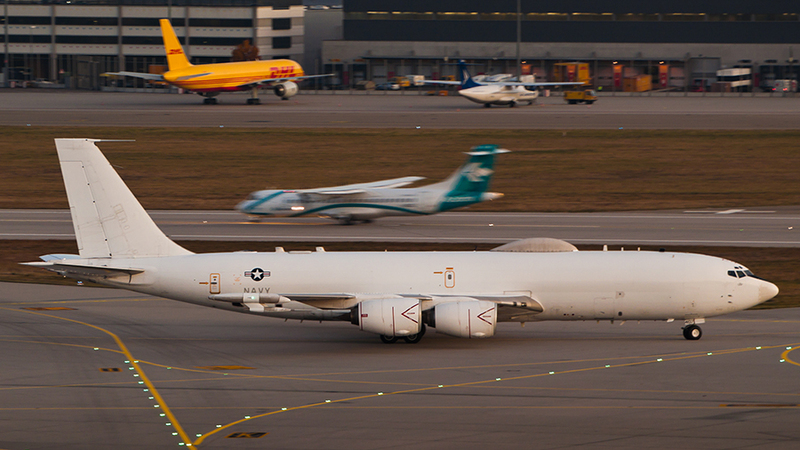 The E-6B is a Boeing 707 airframe that houses a significant array of high-tech communication equipment. This aircraft has the capability to control the Minuteman missile force, the land based nuclear capable bombers, as well as the submarine launched ballistic missiles, SLBM. The battlestaff on the plane is under the command of a flag officer, either a Air Force General, or a Navy Admiral. 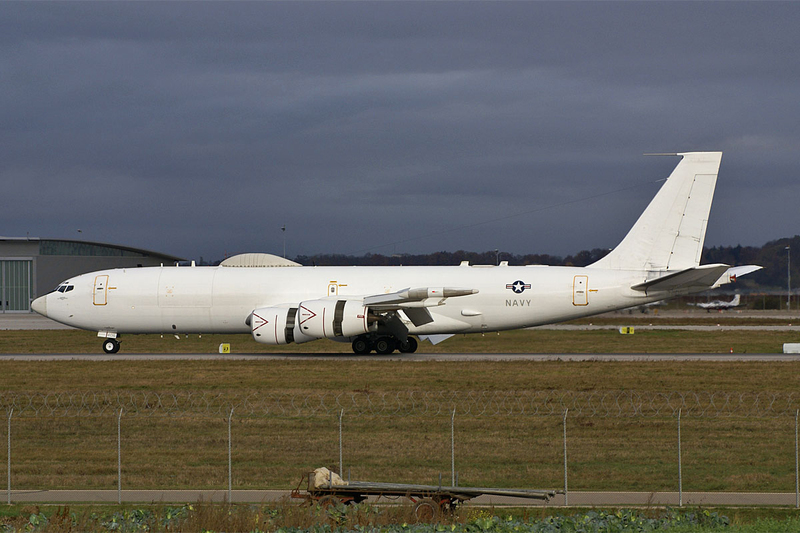 If the ground based command, control and communications center, (located at USSTRATCOM Global Operations Center - GOC) is unable to function in its role, the E-6B Looking Glass aircraft can assume command of all US Nuclear forces. Not only does the E-6B have the ability to take over the command and control of the Minuteman ICBM, the E-6B can relay communications of Emergency Action Messages (EAM) to nuclear submarines running at depth by extending its 2 1/2 mile long trailing wire antenna (TWA). Of note, a second source cites the TWA as being 26000 feet long. The United States has 16 Navy E-6B TACAMO aircraft - "TAke Charge And Move Out" and are one of the most important assets in the US Military. The E-6B can operate on virtually every radio frequency band, as well as communicating on all of the commercial satellites as well as the Internet. When stealth bombers are utilized on a round trip, Global Strike mission across the globe, an E-6B, often times two E-6Bs, are used to provide command and control support to the stealth bombers. Onboard of each E-6B there are a crew that totals 22 members, (one source states 23). Members of the crew form operational teams, each highly trained to accomplish the specific tasks that make Looking Glass such an important asset to the military as a whole. The mission commander is responsible for team training, cohesiveness and direction, and also leads as the head of the operational staff. Second in command is the operations officer, who leads the planning staff and advises the Looking Glass commander of the current war plans available to the President of the United States. The Airborne Communications Officer (ACO) is tasked with overseeing all of the communication systems on the aircraft and makes sure that any communications or messages from the battle staff are handled in a prompt and efficacious manner. The Airborne Launch Control System (ALCS) officer serves as the missile launch team leader and working in conjunction with the operations officer, operates the ALCS. As stated previously, the ALCS makes it possible for Looking Glass to transmit launch codes to the ICBM missiles in their underground Launch Facilities, based on the premise that the ground based launch control centers become disabled. The ALCS officer also serves the function as the intelligence planner and keeps the entire battle staff up to date on the current intelligence issues, calculates threat assignments, and identifies any emerging or potential threats to the United States. The E-6B has two command and control managers. The first manager performs the role of an emergency actions non-commissioned officer, and is responsible with knowing the contents, formats and appropriate wording for emergency action messages implemented to execute U.S. war plans. The second manager is the force status non-commissioned officer and this officer relies on their expertise in force accounting procedures and accounts for, as well as following every strategic weapon in the U.S. inventory. The logistics planners onboard assure that returning bomber and tanker forces have safe recovery bases should the need for medical attention, food, and rest for the crew arise, as well as the availability of speedy repairs, and fuel for the aircraft. A support officer specializing in Meteorological and Oceanographic information, provides analysis of nuclear detonation effects on areas of interest, as well as providing information on weather and radioactive fallout impacts. The battle staff discussed above form a part of the Global Operations Directorate, USSTRATCOM. The crew and aircraft are based with Strategic Communications, WING ONE, located at Tinker Air Force Base, Oklahoma. The crew assigned to the E-6B aircraft is comprised of three pilots, two flight engineers, one navigator, an airborne communications officer, two communications operators, three in-flight technicians, and two trailing wire antenna operators. Since its inception as the modified EC-135C aircraft in the early 1960s, to the present day E-6B, the modifications and improvements to the aircraft, equipment and personnel make up one of the most effective and powerful assets to the United States' military.